This is my first planetary image using a webcam as the imaging platform. 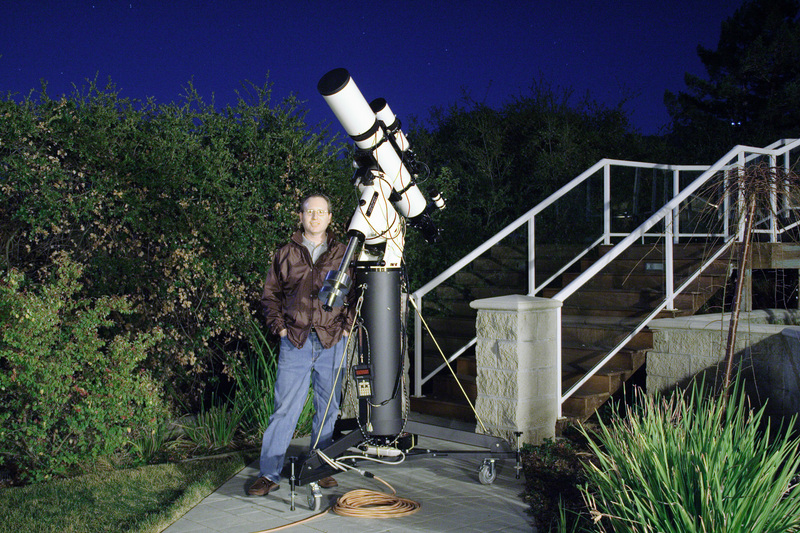 We used my CG-5 mount, fellow Saratogan Rich Schuppert's 9.25" SCT as the imaging scope, and my Televue 2x Barlow to increase the effective focal length to roughly 4700mm. Jim Shuder was driving the ToUcam's control panel and capture software. 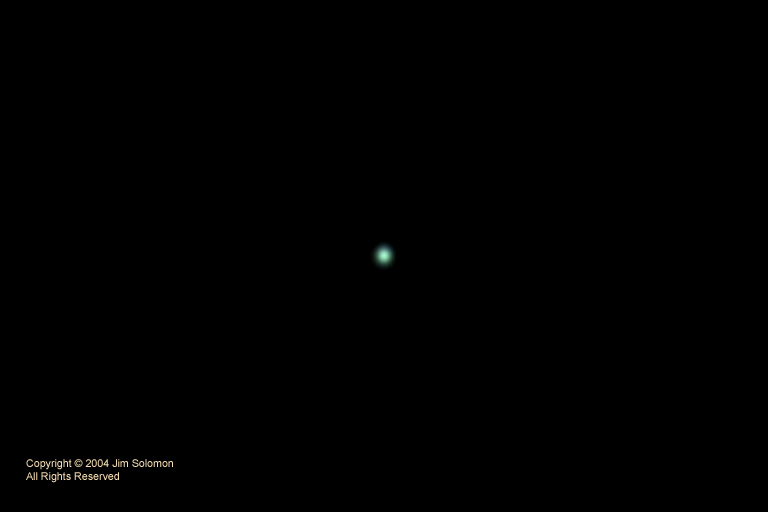 Uranus is a tiny target that reveals little to no detail to even the largest earth-bound telescopes, especially on nights of awful seeing which this night most certainly was. In fact, the Hubble Space Telescope struggles to pull out any detail in "true color" images of Uranus. This was a 2min AVI with 1053 total frames, of which I let IRIS select the best 256 for stacking. The result was slightly better than what Registax was able to accomplish. This is the full-size frame, though I did increase the canvas size in Photoshop to be the same dimensions as my other images. I think North is up but I'm not positive.